Dental preventative care is the best way to avoid dental health issues. A major preventative step you can take is getting regular teeth cleanings. The American Dental Association (APA) recommends two preventative check-ups per year. 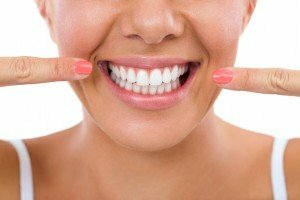 Why do I need teeth cleanings? Regular brushing and flossing cannot remove all tartar and plaque. Because of this, you need teeth cleanings to be sure that your dental health is at 100%. Plaque left on your teeth causes tooth decay. If you regularly receive teeth cleanings, you will get fewer cavities. Plaque also causes gum disease which is a leading cause of extractions. Regular teeth cleanings can help you keep your pearly whites. Teeth cleanings also clean off staining residues such as coffee and tobacco. Regular preventative checkups will keep your teeth whiter. Regular cleanings can also lower risks for heart disease and stroke. Your dentist will identify possible dental concerns before they get serious. Cleanings also keep your breath fresh. During a teeth cleaning procedure, you may receive diagnostic, cleaning and educational services. Updating your Medical History: If it is your first visit Dr. McCauley will ask you about you and your family’s medical history. Oral Cancer Exam: This is especially important if you use tobacco products. Digital X-rays: Our office is proud to use digital x-rays that give off 90% less radiation than traditional x-rays. Most dental providers will pay 100% of preventative care. If you are not insured, Dr. McCauley will work with you. Call our office to find out more. Dr. Mark C. McCauley is one of South Florida’s top dentist. He has been practicing for over 27 years. He uses the most advanced technologies and techniques. If you are looking for a dentist with extensive skill and education, then Dr. McCauley is the dentist for you. Our dental office provides free consultations and free digital x-rays. McCauley Dental is a compassionate environment that cares about your dental health. Call our office at 561-272-8555 to schedule a teeth cleaning today.